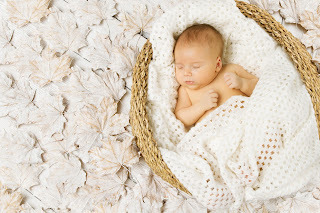 Dr.Malpani's Blog: Why do some IVF doctors still transfer more than one embryo? Everyone agrees that transferring a single embryo is best for IVF patients. This is called an Elective Single Embryo Transfer, and the best clinical only transfer one, top quality blastocyst, because singleton pregnancies have a much better obstetric outcome and are safer for both mother and baby. After all, the purpose of IVF is not just to get pregnant - it's to have a healthy baby ! Even with twins, the risk of premature delivery is increased, with all the consequences of low birth weight and mental retardation this can cause. It might seem tempting to have twins because this gives you an “instant complete family at one shot” , but this is not in your best interests. This is why it worries me why a lot of IVF doctors will talk about doing Single Embryo Transfers when giving lectures at conferences, but in real life they will actually push their patients into transferring two embryos ! I think this just reflects the fact that they're not very confident about their IVF success rates. Thus, if your doctor tells you to transfer two embryos, this is a red flag, which suggests he may not be very good. What he seems to want to do is to maximize his clinic's success rates, rather than to maximize your chance of having a healthy baby- and this is not in your best interests, because you then run the risk of being saddled with handicapped babies for the rest of your life ! What genetic tests does an egg donor need ?